Home / TV / Rajesh Khatter-I like to pick up roles that let me explore something new. Rajesh Khatter-I like to pick up roles that let me explore something new. 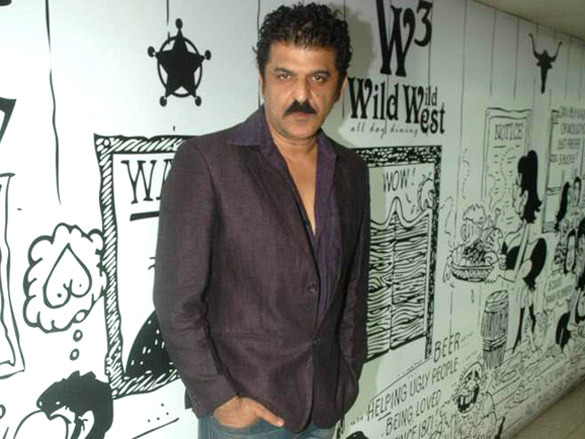 Whether it was Ashwin or now Harshvardhan, you have the knack of picking up edgy daddy roles? Both these characters are diametrically opposite. Ashwin was too dark; Harsh is more on the grey side. For him, family matters the most. Ashwin did not believe in the concept of family. What I like about my characters is that they are edgy ones. You cannot decipher if they’re positive or negative. That keeps the viewers interested and me too. I like to pick up roles that let me explore something new. As a father, Ashwin was a bad one but as Harsh, he will probably turn out to be like a normal dad, who is protective. His son, Aditya was his nemesis but now he knows that his dad stood by his side when he needed it the most. He does not believe in family but circumstances bring him back. And there’s a family, which is patiently waiting for their son to return to them. How is it like working with Harshad Chopda? I did a project with him ten years ago, Left Right Left. It is remembered till date. He has grown a lot as an actor. It is delightful to do scenes with him. Now, viewers will see more scenes between Jennifer and me. Both are talented actors. So far, we did not see many scenes between Zoya and Harsh. That will change in the coming months. It was not difficult. Maya Baby was coined on the shoot itself. I created the line. Initially, the makers wondered how it would catch on but I told the director to leave it to me. Whenever I said Maya Baby, the words were same but the emotions were different. Ashwin would be sarcastic, angry or plain conniving when he called her like that. It worked out well. I had no idea that it would become a catchphrase. It gave me immense satisfaction that an out and out negative character got so popular. Harshvardhan is kind of grey. He will go to any extent and do things that are not right for his family. But every parent is like that, rich or poor he’ll protect his kids. I have got huge appreciation for the character. If anyone would think he’s negative, it’s more because he is humane. The kind of messages the makers, directors and I got from fans recently was overwhelming. Fans have gone ballistic. After working together for 20 years, I like work where I see some personal growth. Can you share any anecdote about Harshad? Well, our hero has a massive sweet tooth. He is heavy on chocolates/mithai. Every day he is treating us to something or the other. Now, he is a smart guy who gyms daily for two hours but he’ll get us on the heavier side (laughs). All of us will suffer later on (laughs out loud). Do Ishaan and you analyse each other’s work? We do discuss acting but on different levels. Ishaan does not watch TV at all. He has his own choices in books, films and is into Amazon/Netflix. Nowadays, he hardly gets the time, his schedule is so choc-a-bloc. Whenever he catches a promo or scene of mine, he does not analyse it. He says if it’s good, bad or ugly (laughs). He does want me to analyse his work and tell me in detail. I convey whatever I feel. To be honest, he is a tremendous performer in his own right. He won the Best Actor Award at a film festival in Turkey for Beyond The Clouds. This speaks for itself. Everyone who is seeing his work is appreciating it. The ultimate judge is the audience and I hope he gets accepted. What are your parameters for choosing a role? What can we expect ahead on the show? I have had a long association with Cinevistas. With Beyhadh, I came back to TV after eight years. I wasn’t very keen when the role was narrated to me, I had my apprehensions. The makers told me that it is a cameo for a few months but it will flag off the show. And they said they could not see anyone else but me doing it. They gave exactly what they promised, which is great. Scripts change drastically in daily soaps. Even Papa Hooda has a graph, a lot of meat. It makes no sense for me to do TV if the role isn’t good enough. I own a company and that works better for me financially. So, for me to do TV, I need something exciting enough to bring me on the sets daily. I did a Vikram Bhatt web-series Spotlight, where I was seen in only four episodes out of ten but I loved the character. The character matters and time spent on a show. Hooda’s role has both the length and substance while Beyhadh was an exciting cameo. There is a lot to unfold around Harshvardhan’s character and people will see another dimension, which will be a surprise. At the same time, Aditya and Zoya will go through tumultuous times as a daily soap is nothing without crisis, conflict and drama. We have really competent actors and it’s going to get better for fans. Ileana D’Cruz says a relationship is about restraint and respect. “There’s respect there,” Ileana said, adding: “I had a different perception of what a relationship or love is like..